Each item in this gin and tonic gift was selected with care. Our goal was to find the best beverages as well as excellent savoury treats to help enhance the flavour of your drink. 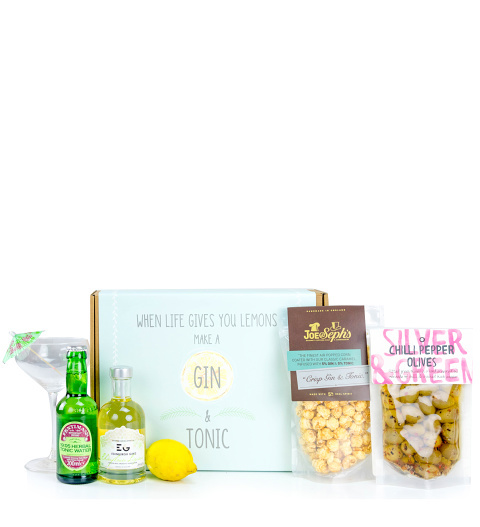 Send this gift to any gin and tonic lover for their birthday or any other happy occasion.